I'm on a mission, will you join me? Lori is a Lifestyle Changer. Guiding individuals to find the power within themselves using different tools, knowledge of the plants, energy & water to bring their bodies back to balance in order for the body to miraculously heal itself. makes herbal remedies & a hydration specialist. She uses the secret behind "The Secret" to unblock the blocks we set up for ourselves in order to succeed and manifest what we desire in life. She has found amazing results using EFT with PTSD, as well as many other dis-eases when emotional root causes are brought back to neutral. Assisting you in the ability to deal with life's stresses. Angeles, San Francisco, Phoenix, Tampa, Ontario, Florida & Massachusetts. After years of seeking better solutions for her family’s health and well-being, Lori started her official training in Energy work in 1998 and Herbalism in 1999. As a CEO of Thyme for Wellness, Lori now applies her skills and knowledge as an Herbalist, Therapeutic Touch Energy Worker, EFT Practitioner, Flower Essence Practitioner & a Molecular Hydration Specialist to her current work as a Wellness Practitioner. Attending 2 years of formal Herbal Studies with a Master Herbalist and a Herbalist/Pharmacologist in RI, as well as mentoring, she has certification and a lot of experience. Attained a certificate as an Energy Worker & in Bach Flower Essence's, has studied Homeopathy, trained in EFT (Emotional Freedom Technique) by the founder Gary Craig, attended the Master of Spiritual Science studies at USM and continues to learn from Masters on a regular basis. Lori has also become a Molecular Hydration Specialist & is grateful for Kangen water. 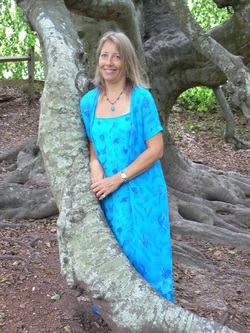 Spiritually uplifting and loving, Lori teaches empowershops, formulates and manufactures herbal remedies, hosts tea parties, writes a monthly newsletter, holds group sessions, as well as works with people one-on-one. Lori is a mother of two adult children and she has a wide variety of interests and abilities. She is a certified National Disaster Salvation Army Relief Volunteer, an Environmental Advocate, has a strong financial background, website creator and an Ordained Minister. Her love of travel and passion for helping others led her to participate in helping to rebuild a home in New Orleans that was damaged by Hurricane Katrina, in 2007. Lori loves to work with people in creating a successful balanced life of health, wealth and happiness.